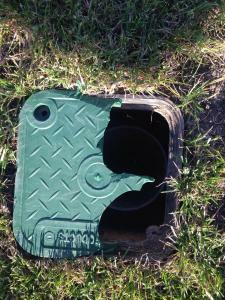 there is a green plastic stormwater cap is broken, which leave a big hole close to the foot path. Please replace it. Thanks.